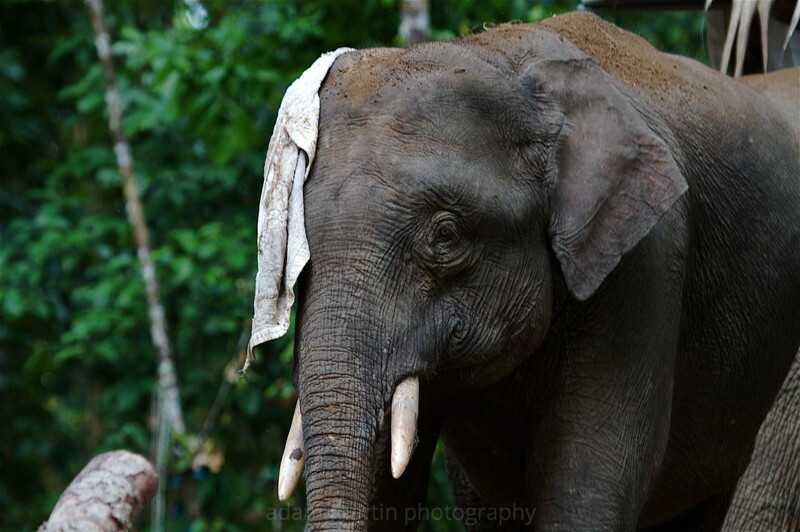 At the time I was overwhelmed with the excitment of seeing wild elephants in a jungle. I never in my wildest dreams imagined seeing a whole herd swim across a river but they did. Mothers and calves & feisty adolescent males. Being in a boat below them whilst they completely ransacked a man made structure gave me a very unique perspective. Unfortunately it seems these wild elephants are on the verge of extinction as the forest is cut down and replaced by palm oil plantations. These herds have to exist in narrow strips of jungle alongside the river. What I witnessed this day was elephants getting some satisfaction from destroying man made property. I was also naive enough to think the elephants didn't mind our presence. It was later looking at these images that I came to realize that if they could have they would have attacked me. This was made clearer when an a woman was killed by elephants, only a couple of weeks after I was there. You can't blame the elephants. Now the palm oil plantations have encroached and virtually taken over their habitat.